It is often necessary to have a permanent record of the state of a phenomenon being investigated. In many of the industrial and research processes it is necessary to monitor continuously the condition, state, or value of the process variables such as flow, force, pressure, temperature, current, voltage, electrical power etc. 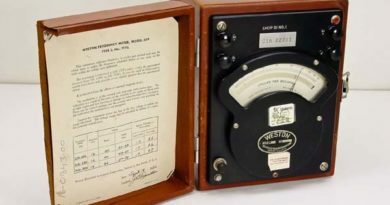 A recorder thus records electrical and non-electrical quantities as a function of time. This record may be written or printed, and later on, can be examined and analyzed to obtain a better understanding and control of the processes. Currents and voltages can be recorded directly while the non-electrical quantities are recorded indirectly by first converting them to equivalent currents or voltages with the help of sensors or transducers. The ever increasing emphasis on automation, continuously recording instruments are finding many applications in industry. 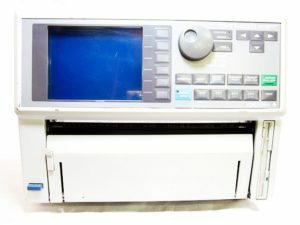 Graphic recorders generally are devices which display and store pen and ink record of the history of some physical event. Basic elements of a recorder include a chart for displaying and storing the recorded information, a stylus moving in a proper relationship to the paper and suitable means of interconnection to couple the stylus to the source of information. For the purposes of this book, we classify the graphic recorders into two categories. A strip chart recorder records one or more variables with respect to time. It is an X-t recorder. (ii) X – Y recorders. An X – Y recorder records one or more dependent variables with respect to an independent variable. (i) A long roll of graph paper moving vertically. (ii) A system for driving the paper at some selected speed. A speed selector switch is generally provided Chart speeds of 1 -100 mm/.s are usually used. (iii) A stylus for making marks on the moving graph paper. The stylus moves horizontally in proportional to the quantity being recorded. (iy) A stylus driving system which moves the stylus in a nearly exact replica or analog of the quantity being recorded. A range selector switch is used so that input to the recorder drive system is within the acceptable level. Most recorders use a pointer attached to the stylus. This pointer moves over a calibrated scale thus showing the instantaneous value of the quantity being recorded. An external control circuit for the stylus may be used. The paper drive system should move the paper at a uniform speed. A spring wound mechanism may be used but in most of the recorders a synchronous motor is used for driving the paper. The stylus is filled with ink by gravity or capillary actions. This requires that the pointer shall support an ink reservoir and a pen, or contain a capillary connection between the pen and a pen reservoir. In general red ink is used but other colors are available and in instrumentation display a color code can be adopted. The stylus, moving over the paper with preprinted scales, traces the variations of the input signal. This method is most commonly employed as ordinary paper can be used and therefore, the cost is low. Other advantages are that with this system, operation over a very wide range of recording speeds is possible and also there is little friction between the stylus tip and the paper. The disadvantages of this method are that ink splatters at high speeds, batches at low speeds and clogs when the stylus is at rest. The frequency limit of recorders incorporating this method of writing is only a few Hz. Some recorders use a heated stylus which writes on a special paper. This method overcomes the difficulties encountered in ink writing system. The heated stylus melts a thin, white wax like coating on a black paper base. Since the paper required is a special one, the cost is high. This method cannot be used for recording certain processes which produce heat which indirectly effect the recordings. But this method is quite reliable and offers high-contrast traces. Sophisticated recorders using papers with waxed surfaces and special pens having a frequency response up to 40 Hz are available. If a chart made from a pressure sensitive paper is used, a simple recording process is possible. A V-straped pointer is passed under a chopper bar which presses the pen into the paper once per second (or any other selected interval) thus making a series of marks on the special paper. In fact this system is not purely continuous and hence is suitable for recording some slowly varying quantities, for example those which have a variation of 1 cycle per hour. This type of marking has the advantage of a straight line horizontal scale without the use of complex linkage arrangement. This method employs a paper with a special coating which is sensitive to current. When current is conducted from the stylus to the paper, a trace appears on the paper. It is clear that the electric stylus marking method has a wide range of marking speeds, has low stylus friction and a long stylus life. The disadvantage is that the cost of paper is very high. This method uses a stylus which produces a high voltage discharge thereby producing a permanent trace on an electro sensitive paper. This arrangement has been incorporated in a recorder having a 50mm wide chart nine voltage ranges from 10mV/mm to 5 V/mm; eight chart speeds from 300 mm/s to 10 mm/mm and a frequency response of 60 Hz at maximum amplitude of 1 db. This method uses a beam of light to write on a photosensitive paper. Thus this method allows higher frequencies to be recorded and permits a relatively large chart speed with good resolution. The disadvantages are that the paper cost is very high. Secondly the writing process is a photographic one, the paper must be developed before a record is available and hence this method is not suitable for processes where instantaneous monitoring is to be done. 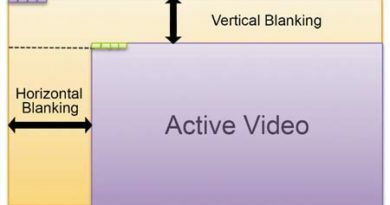 There are two types of tracing systems used for producing graphic representations. In the curvilinear system, the stylus is mounted on a central pivot and moves through an arc which allows a full-width chart making. If the stylus makes a full range recording, the line drawn across the chart will be curved and the time intervals will be along this curved segments. 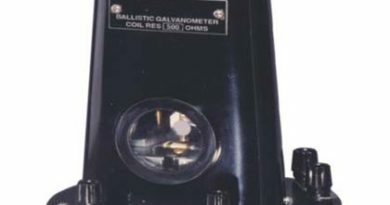 This type of system is used on many records with PMMC galvanometers actuating the stylus filled with ink. The advantage of this method of tracing is the chart are difficult to analyze because of curved time base lines. It is noticed that a line of constant time is perpendicular to the time axis and therefore this system produces a straight line across the width of the chart. Here produce the forward and reverse motion as determined by the drive mechanism. The stylus may be actuated by a self-balancing potentiometer system, a photoelectric deflection system, a photoelectric potentiometer system, or a bridge balance system. This system is usually used with thermal or electric writing meter system, or a bridge balance system. This system is usually used with thermal or electric writing. 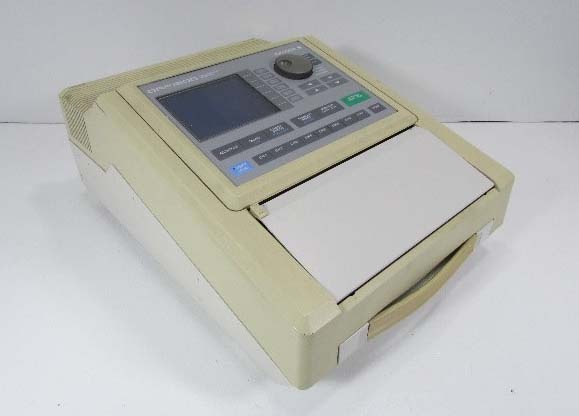 This type of strip chart recorder operates on the deflection principle. 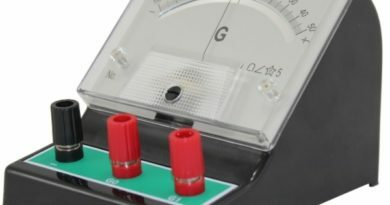 The deflection is produced by a galvanometer which produces a torque on account of a current passing through its coil. This current is proportional to the quantity being measured. This type of recorder operates on comparison basis.